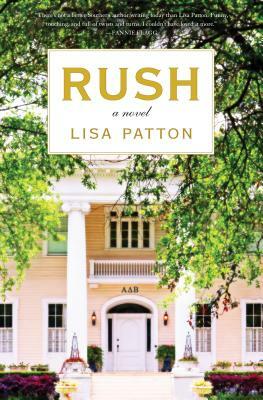 Set in modern day Oxford, Mississippi, on the Ole Miss campus, bestselling author Lisa Patton’s RUSH is a story about women—from both ends of the social ladder—discovering their voices and their empowerment. Cali Watkins possesses all the qualities sororities are looking for in a potential new member. She’s kind and intelligent, makes friends easily, even plans to someday run for governor. But her resume lacks a vital ingredient. Pedigree. Without family money Cali's chances of sorority membership are already thin, but she has an even bigger problem. If anyone discovers the dark family secrets she's hiding, she’ll be dropped from Rush in an instant. When Lilith Whitmore, the well-heeled House Corp President of Alpha Delta Beta, one of the premiere sororities on campus, appoints recent empty-nester Wilda to the Rush Advisory Board, Wilda can hardly believe her luck. What’s more, Lilith suggests their daughters, both incoming freshman, room together. What Wilda doesn’t know is that it's all part of Lilith’s plan to ensure her own daughter receives an Alpha Delt bid—no matter what. For twenty-five years, Miss Pearl—as her “babies” like to call her—has been housekeeper and a second mother to the Alpha Delt girls, even though it reminds her of a painful part of her past she’ll never forget. When an opportunity for promotion arises, it seems a natural fit. But Lilith Whitmore slams her Prada heel down fast, crushing Miss Pearl’s hopes of a better future. When Wilda and the girls find out, they devise a plan destined to change Alpha Delta Beta—and maybe the entire Greek system—forever. Achingly poignant, yet laugh-out-loud funny, RUSH takes a sharp nuanced look at a centuries-old tradition while exploring the complex, intimate relationships between mothers and daughters and female friends. Brimming with heart and hope for a better tomorrow, RUSH is an uplifting novel universal to us all. LISA PATTON spent over twenty years in the music industry before discovering her passion for novel writing. A breast cancer survivor, Lisa is now the bestselling author of WHISTLIN’ DIXIE IN A NOR’EASTER and YANKEE DOODLE DIXIE. Both novels have been featured on the Southern Independent Booksellers Alliance (SIBA) Bestseller List and in 2010 Lisa was selected by Target as an Emerging Author. SOUTHERN AS A SECOND LANGUAGE is the third and final book in what Library Journal calls, “the beloved Dixie series.” Lisa’s fourth novel, RUSH, set inside a fictional sorority house at Ole Miss, provides not only a gaze inside the most exclusive sorority Recruitment in the country, but at the lives of both the sisters and the all African American staff. Born and raised in Memphis, Lisa spent time as a Vermont innkeeper until three sub-zero winters sent her speeding back down South. The proud mother of two sons and a little Havanese pooch named Rosie, she and her husband live in Nashville, Tennessee.